Buying a knife is an easy process. Go to a local sporting-goods store, drop two twenties on the counter, and you will get a knife in return. Buying a good knife? That’s a different thing altogether. Knives are essential tools–they make daily life a bit easier and life in the woods much nicer, but finding a good knife, especially one that doesn’t break the bank, is actually pretty complicated. The reality is you can find a good knife in just about any price range, even at a sporting-goods store. Price is not the issue; knowing what to look for is the obstacle most folks face. What do you want this knife to do? Do you want something that trims threads and opens packages, or do you need a knife that can cut and process wood? Generally, hard-use tasks like wood processing and hunting are more easily done with a fixed blade. Lighter duty tasks, the aforementioned package opening and food prep, can be handled with a folder. But the old divide of hard use=fixed blade and light duty=folder is not as sacrosanct as it once was. First, there is a new generation of folders that have incredibly strong locks. 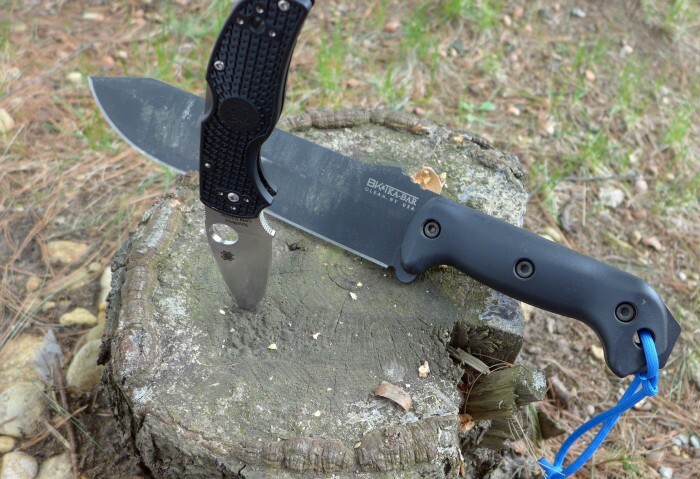 Knives like Cold Steel’s Recon 1 or Spyderco’s Paramilitary 2. Second, there is a new generation of fixed blades, knives like the Bark River Pocket Bravo, that are designed to be used as everyday carry, light duty blades. Despite these innovations, the old rule of thumb is still useful. Decision #2: What are you cutting? 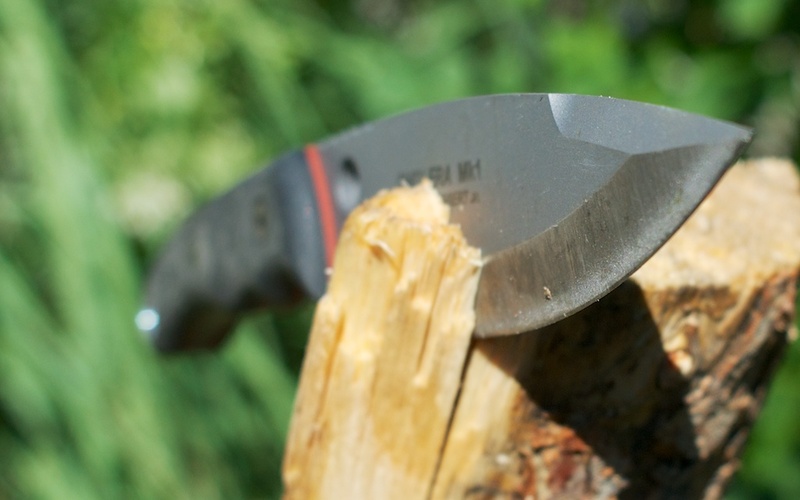 Cutting packages, slicing food, preparing game, and chopping wood are all radically different tasks that knives do, and each of these tasks place different demands on a blade. There are three factors that determine how well a knife cuts–the shape of the blade, the heat treat, and the steel. Heat-treating steel is a complex process, but any modern knife of minimal quality will have a good heat treat. Steel is complex enough it’s worth addressing all on its own (see “Knife Blades: Common Steels Explained”), but the most important aspect of a knife is the shape of the blade. This really means two things–the blade seen in profile and the grind of the blade. Blade shapes, generally, are task dependent. 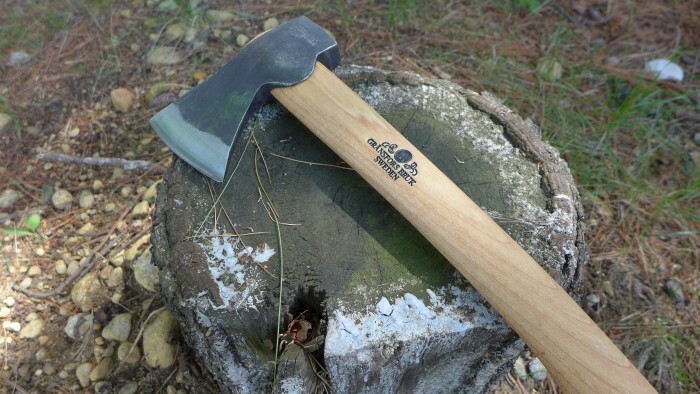 If you plan on cutting lots of thick rope or netting, a hawk bill or recurve blade shape is helpful. If you use your knife in search and rescue, there are blunt tipped blades and sheepsfoot blades to help. Martial blade craft people like tantos for their piercing ability and wharncliffes for their aggressive slashing tips. Hunters like drop point blades and trailing point or Persian blades (no real hunter needs or uses a gut hook). For general use I like reverse tantos, drop points, clip points, and leaf-shaped blades. Regardless of the name, you should look for a blade that has a sturdy, pointy tip, a nice curve (this is called the belly of the blade and is basically the sweet spot), and a straight portion near the handle. I would avoid recurve blade shapes unless you have a lot of skill with a sharpener. Decision #3: How will you use the knife? Task dictates blade shape. It also dictates the grind. The grind of a knife is the method the knife maker uses to put an edge on a piece of steel. There are a dozen or so grinds, but there are three that are most common–the hollow grind, the flat grind, and the convex grind. Scandi Grind, top and non-scandi on bottom. Think of a knife grind like an upside down triangle. In a hollow grind, the sides of the triangle curve in. This allows for thick steel to be reduced quickly to a very keen edge. Hollow grinds are good for slicing and are decent all around grinds. In a flat grind, the sides of the triangle are straight lines. Flat grinds are good for general purpose cutting and make okay hard use edges. Finally, in a convex grind the sides of the triangle curve out. This makes for a very robust blade and edge. Convex grinds are also harder to make, as they usually require a human being doing the grinding on a slack-belt grinder. Convex grinds are excellent hard use grinds and good for edged tools that do lots of chopping, like an axe, hatchet, or a large fixed blade knife. A few words about two specific kinds of grinds–serrations and a Scandi grind. Serrations are very helpful when cutting fibrous material like rope or netting. They are not, however, generally worth the hassle if you have a wide variety of cutting chores. They are much more difficult to sharpen than a plain edge and if you own and use a knife you will need to sharpen it a lot. A Scandi grind is popular on outdoor knives, in particular the cheap and ubiquitous Mora brand knives. A Scandi grind is like a flat grind that starts halfway down the blade, but unlike a flat grind, there is no secondary or cutting bevel. If you look at non-Scandi knives you’ll notice that there is a big grind (the primary grind) and then right at the edge there is another grind. That final grind is the part of the knife that actually does the cutting. In a Scandi grind there is no final cutting bevel. This makes for a very sharp edge, great for outdoor use, but it is more difficult to sharpen, as you have to register the entire angle to the sharpening medium. (If you don’t you will inadvertently introduce a secondary bevel to the knife, eliminating all of the benefits of a Scandi grind.) If you are master sharpener, Scandi grinds are awesome. If not, look elsewhere. Decision #4: What kind of steel do I want? A good shape and a task-appropriate grind make for an excellent knife regardless of steel, but like with heat treating, most major knife companies have the blade’s shape and grind figured out. The most prominent variable then, is the steel. Steels come in a wide variety of chemistries from high carbon, non-stainless varieties, to modern powder metal super steels. But again, like with blade shapes, a steel choice should be task appropriate. There are three major variables in choosing a steel–corrosion resistance, toughness, and hardness. 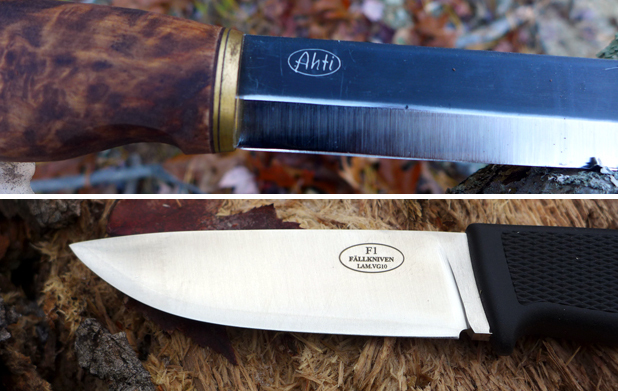 Balancing those three attributes for a given task and budget can lead to a great knife. Corrosion resistance is how the steel resists rust and discoloration. It’s not just water that can stain a blade. Acid from food like tomatoes can also stain a blade. There are some steels that are very corrosion resistant, like Krupp 1.4116 (the steel found on Victorinox brand Swiss Army Knives), VG10 and N690. There are also some steels that are virtually corrosion proof like H1. Generally more corrosion resistance means less toughness or hardness, or both. Toughness is a steel’s capacity to bend without breaking. Toughness is important when doing high impact tasks like chopping wood. 1095 is a very tough steel, as is 5160. The two steels currently vying for the crown of ultimate toughness are 3V and INFI. 3V is available on a wide range of knives, while INFI is a proprietary steel found only on Busse Knives. Hardness is a steel’s capacity to resist bending. Hardness is also correlated to a knife’s edge holding ability. Steel hardness is measured on the Rockwell scale, expressed like this: HRc 64-66. Steels that are used in chopping applications, like 1095 are typically hardened to around 55-57. Most folding knife steels are between 57-62. Very high end, very hard steels, like M4 and ZDP-189, are in the 64-66 range. Hard steels will not only hold an edge longer, they can take a more acute edge, producing much better slicing action and cleaner cuts. For general use, I like steels like CPM154, S35VN, and M390, which are all in the 58-62 range. For an EDC knife, I like higher hardness steels as they slice better and require less maintenance. I like ZDP-189 a great deal in that application. Decision #5: What do I want the knife to look like? Once you have the performance features squared away, you might want to think about the knife’s look and convenience. There are two general categories for folders–traditional knives and modern knives. Traditional knives look like your grandpa’s knife and have natural material handle covers, usually run a high carbon steel (like 1095), and lack locks, pocket clips, and ways to open the knife one handed. 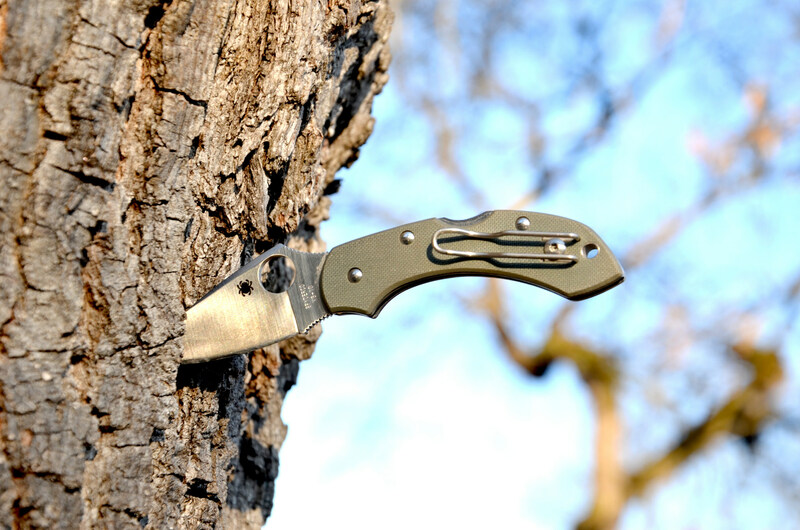 Modern knives (so called “tactical knives”) use manufactured materials for handles, have more up to date steels, blade locks, methods to open the knife one handed, and a pocket clip. It may seem like a no-brainer that the modern knife offers so much more convenience, but it’s not that easy. Many modern knives have thick, chunky grinds and are very expensive. Traditional knives, like those made by Case, Great Eastern Cutlery, and AG Russell can offer superior cutting performance at a lower price. The thinner blade stock and more acute grinds make many traditional knives slicing machines. Modern knives can also be good cutters as well, but the trend toward huge beefy folders, has, in my opinion, been bad for cutting performance. Some knives give you the best of both worlds, like the Spyderco Dragonfly 2 or the Spyderco Paramilitary 2. Additionally, some modern knives are incredibly fast to deploy, like the Kershaw Skyline, and feather light, again like the Skyline or the Fallkniven U2. Convenience and weight aside, the look of a classic traditional folder with jigged bone handles and a nice patina on the blade is hard to ignore. Many modern folders look weird or even silly. The best looking modern folders are simple and clean, like the Chris Reeve Sebenza or the James Chapter knife. 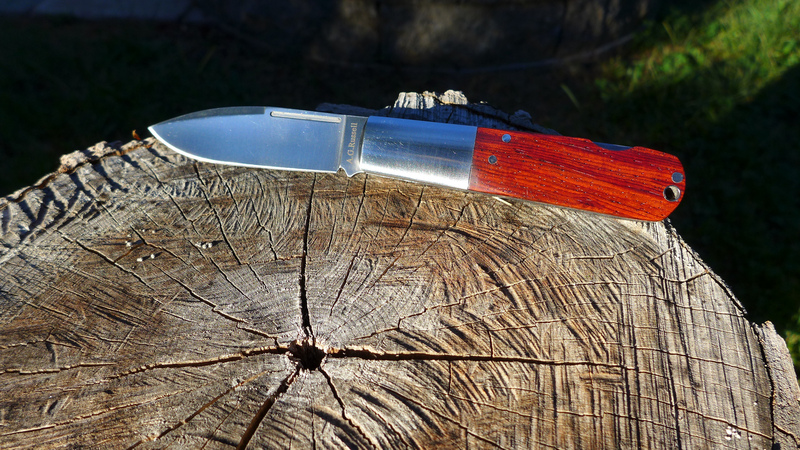 Many of these same trends from folding knives carry over into fixed blades, with lots of very traditional looking knives and some truly avante garde designs. The best in my opinion are no nonsense designs like the Bark River Lil’ Creek, the Ka Bar Becker BK9, and the Fallkniven F1. Buying a good knife is challenging, but if you know what you are going to do with it and what to look for you can wade through the sea of junk that is out there and find some real gems, even at a big box or local sporting-goods store. Even Wal-Mart usually stocks a few good blades, like the Kershaw Skyline and the CRKT Ripple. Price is important, but those blades can both be had for under $50. Think about what you need and what you want and then arm yourself with information and you can score a blade that will last your lifetime for a very decent price.